She’s not the most beautiful chick(en), but she is succulent. 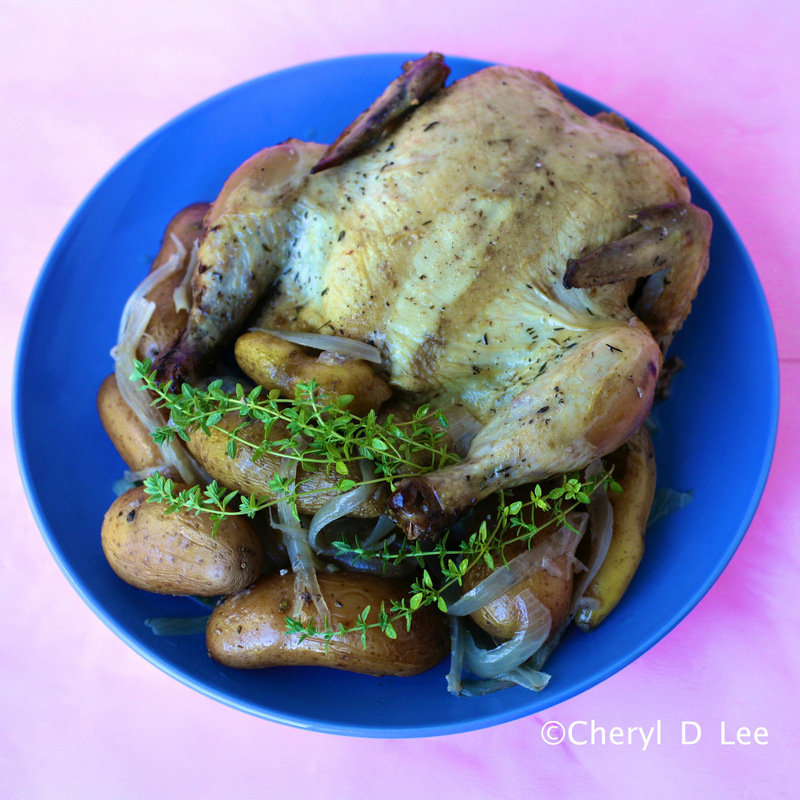 Her skin is not bronzed like her oven roasted sisters, but she is so tender and juicy. 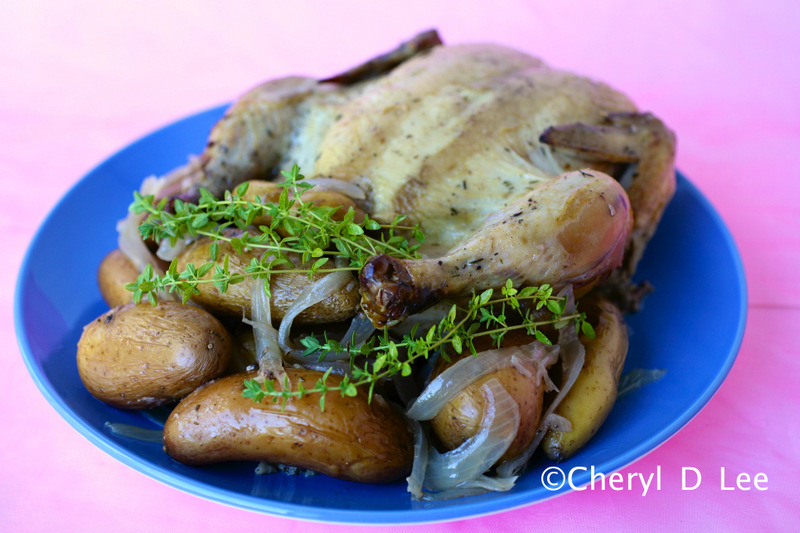 Slow Cooker Roast Chicken is a bit of an oxymoron, as slow cooing and roasting are very different methods of cooking. It may be contradictory, but it works. The best thing about a roasted chicken is the crispy spiced skin, which is hard to achieve in a slow cooker. But not impossible. Because of the small amount of liquid and cooking the chicken on top of the aromatic vegetables, the skin does brown and crisp slightly. Slightly. 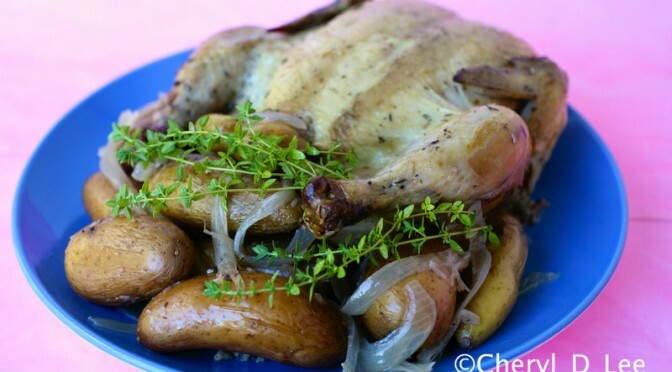 The chicken is so moist and tender when cooked slowly, the potatoes flavorful from being braised in a mixture of white wine and chicken drippings. Who needs crisp skin? This recipe calls for seasoned salt, which I always like to have on hand for seasoning almost everything. Make up a batch and keep it in an airtight container for an easy go-to spice blend which works for meat, fish, poultry and vegetables. In a small bowl combine all the spices. Rub the seasoned salt all over the chicken. Place the potatoes, onions and wine into a large slow cooker. Put the chicken on top of the vegetables. Set the slow cooker to low, cook the chicken for 7 hours.